Aamir Naveed was in charge of hair styling at this year's Asiana Bridal Show in London, and whilst my focus so far covering this show has been the clothes I got a chance to find out more from Aamir himself about the hairstyles he created for the models. "The build up to the show was very stressful, coming up with a hairstyle that would be practical enough for the show as well as striking and versatile was a major challenge. Me and the team worked very hard coming up with look and perfecting it. 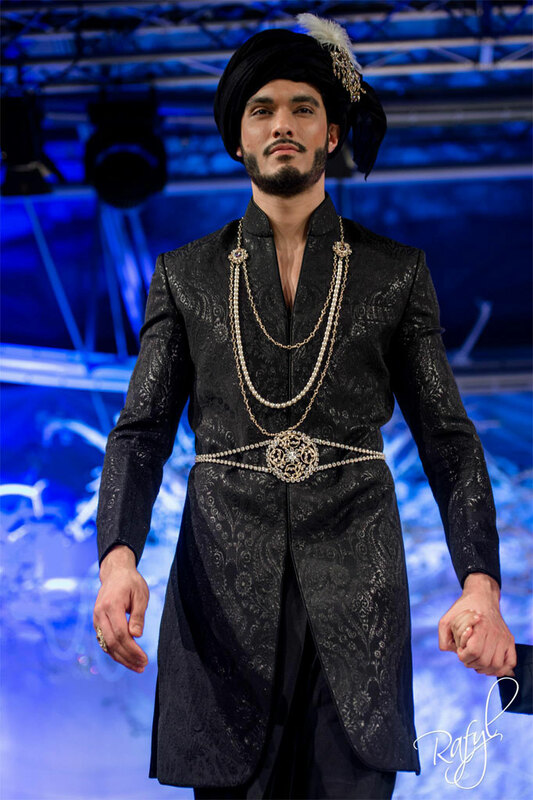 We ended up with a look that worked with every concept on the catwalk; Vintage, traditional, medieval, spanish. 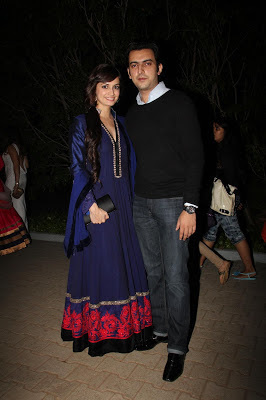 the hair worked with all the accesories and brought the looks to life. " 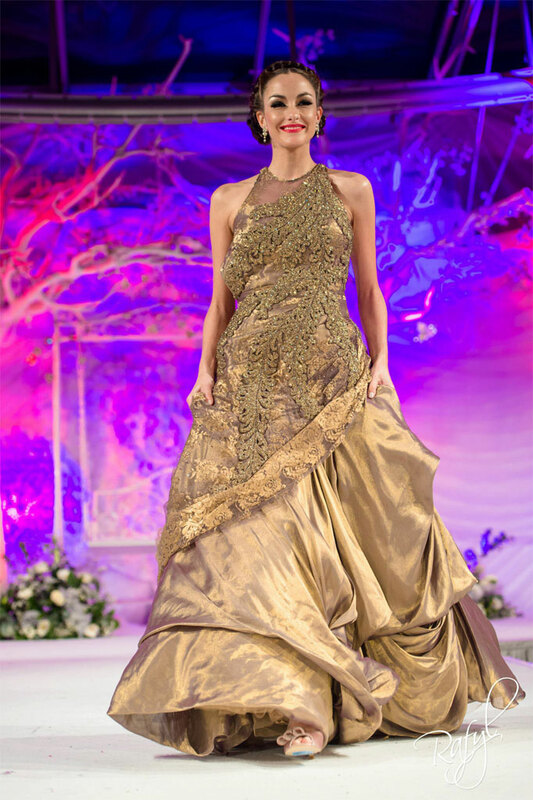 "When it came to the day of the show we where were all very calm collective and relaxed, on a reduced time constraint of 2 and half hours for 16 models we beat the clock and all the models where ready on time, We where in sync with the makeup team which meant all the girls where ready for a final rehearsal before the show commenced." Here are some of the other varying hair accessories from the show, from fascinators to tiaras and tikkas all of them worked with this hairstyle. "The hair stayed throughout all 4 shows, regardless of the tight neck lines and heavy dupatas, my team where prepared for any hiccups and fixed any flaws effortlessly." Photo credits go to Rafyl Photography. Khushbu Fashions have been in my bookmarks list for some time although I'd never ordered anything from them before. When they got in touch with me recently I took the opportunity to try them out. Their casual outfits start from as low as £15.95 with their more dressier outfits going up to around £250. I chose this dress because I liked the simplicity of it and the detail on the back. 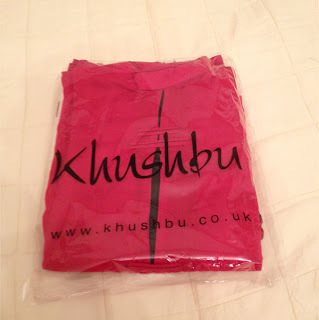 A few days later my outfit arrived in the post and it was time to see how it looked on a real person! Overall I was really happy with the outfit, even with the bad lighting and my complete lack of accessorising in the photo above! 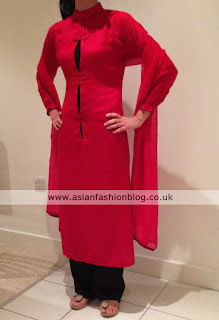 I picked a size 8 and was happy with the fit - you can never be too sure with sizes when ordering asian outfits online but I found the size to be true to the size guide on their website. I also think their prices are reasonable too - I would definitely consider ordering from them again! 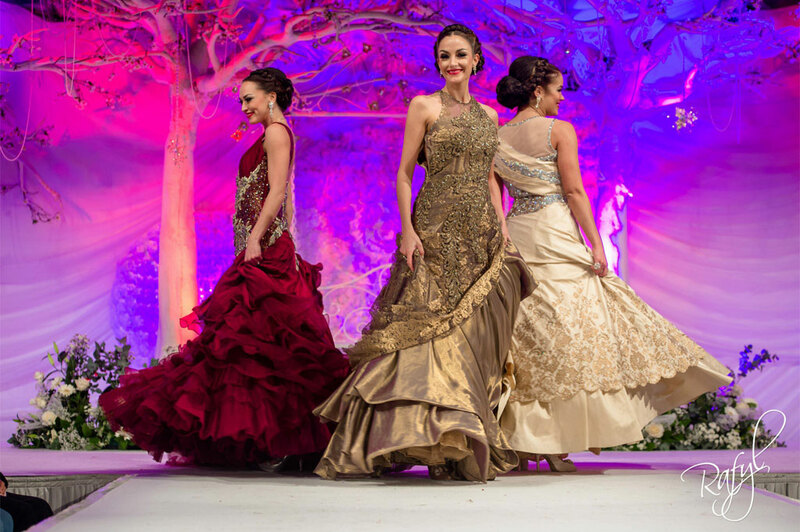 Frontier Raas brought full on glamour to the Asiana Bridal Show 2013 catwalk, starting off with a trio of dresses which wouldn't look out of place on the red carpet of an awards show! This next dress was my least favourite out of all three, it feels like there's too much going on with it and I'm not sure the sheer panel on the front is really needed. 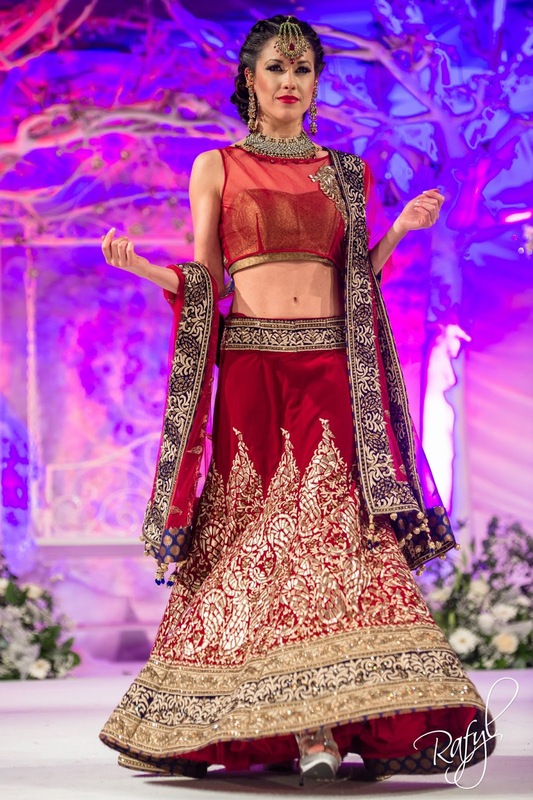 After the high impact of the three evening gowns, as beautiful as the more Indian-style bridal outfits were, none of them really stood out to me. 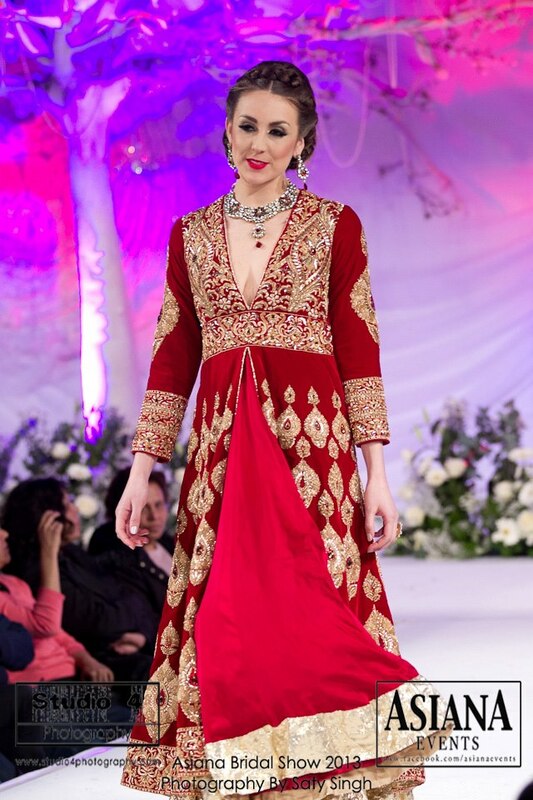 Maybe it was the colour choices, their 2012 Asiana Bridal Show collection was so vibrant but this collection had more of a sultry feel to it. 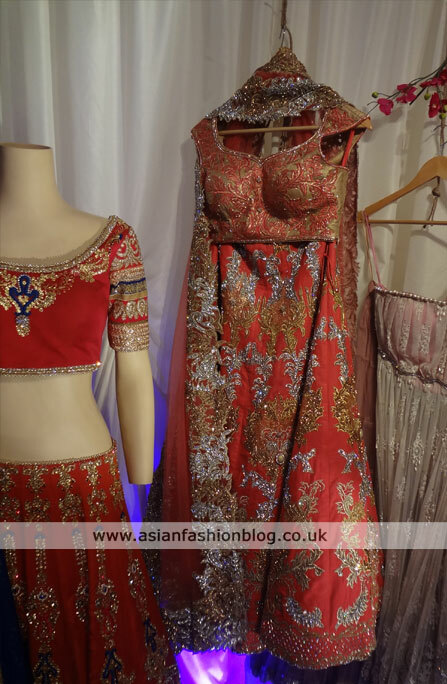 As well as the amazing catwalk collections, there was also some great asian fashion to be seen in the exhibition area at the 2013 Asiana Bridal Show. 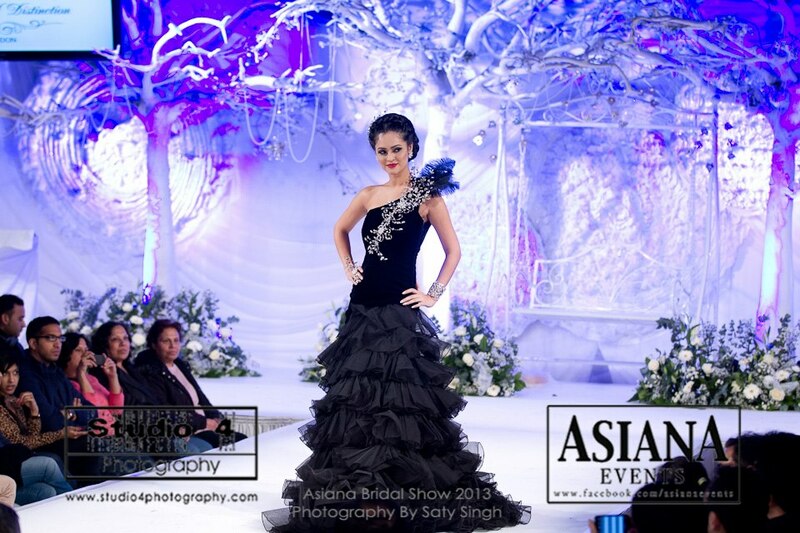 Mansi Malhotra was one of clothing exhibitors whose collection caught my eye. 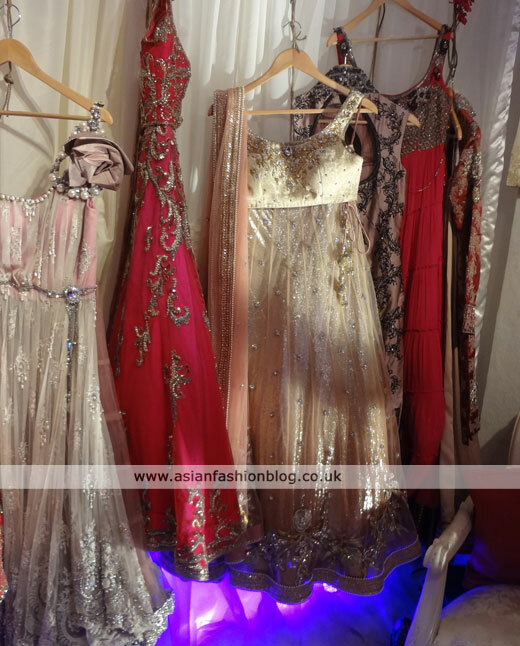 Mansi Malhotra's main base is in India, but they also have an outlet in London. 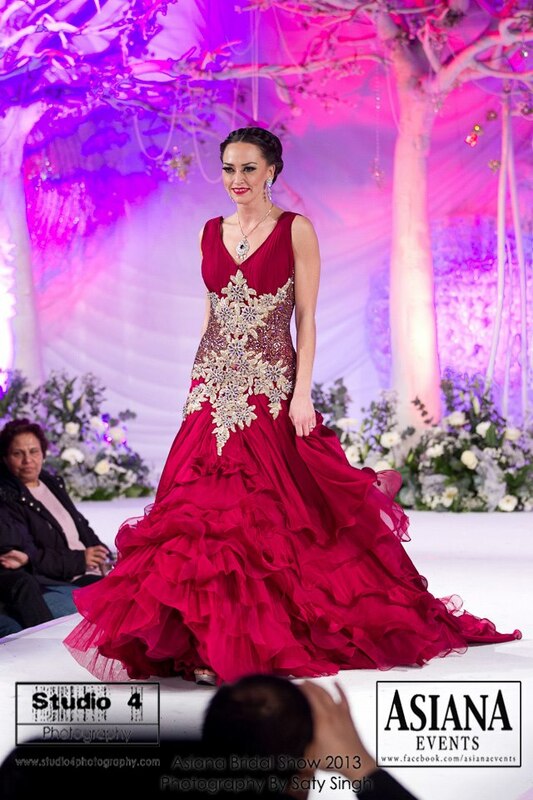 Non-bridal outfits start from £350 up to £1,000 and their bridal outfits start at £1,800. 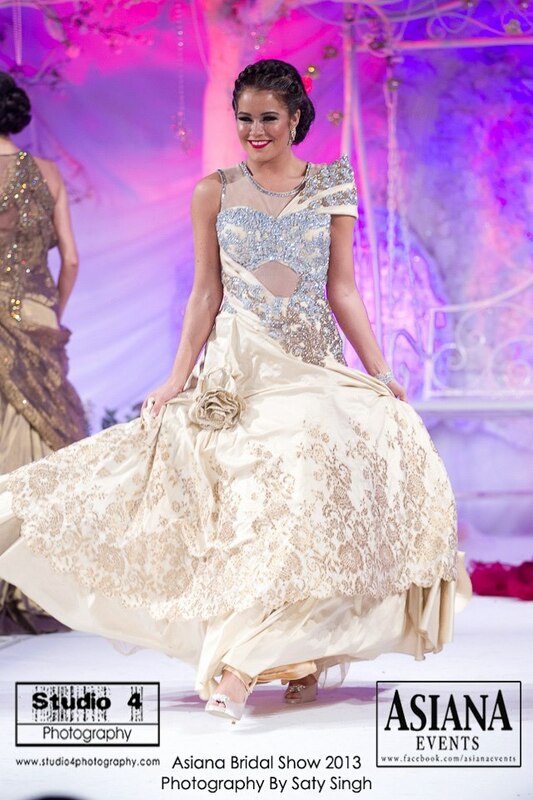 You can find out more about this collection and how to get in touch via the Mansi Malhotra facebook page. 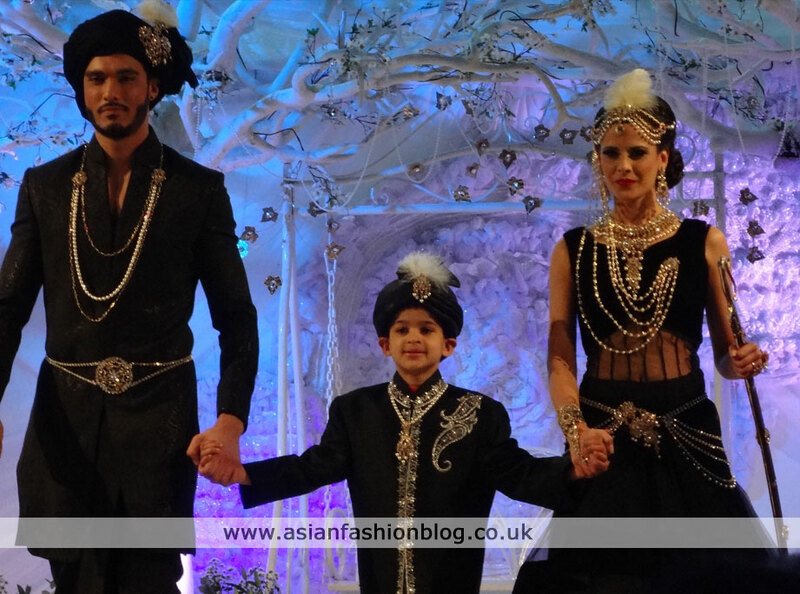 Kyles Collection were sponsors of the catwalk at the 2013 Asiana Bridal Show in London, and as well as having their jewellery featured among a lot of the bridal outfits and groomswear, they also had their own segment on the catwalk to showcase some of their pieces. 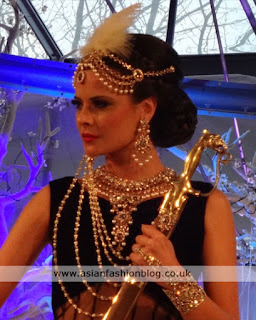 It's no secret that I'm a fan of Kyles' jewelled hair pieces, tiaras and matha pattis/shinga pattis and this jewellery showcase did not disappoint! As well as bridal jewellery, Kyles also showcased a selection of pieces for grooms and this is the first time I've seen Kyles pieces on younger members of the bridal party - I thought this was a nice touch! 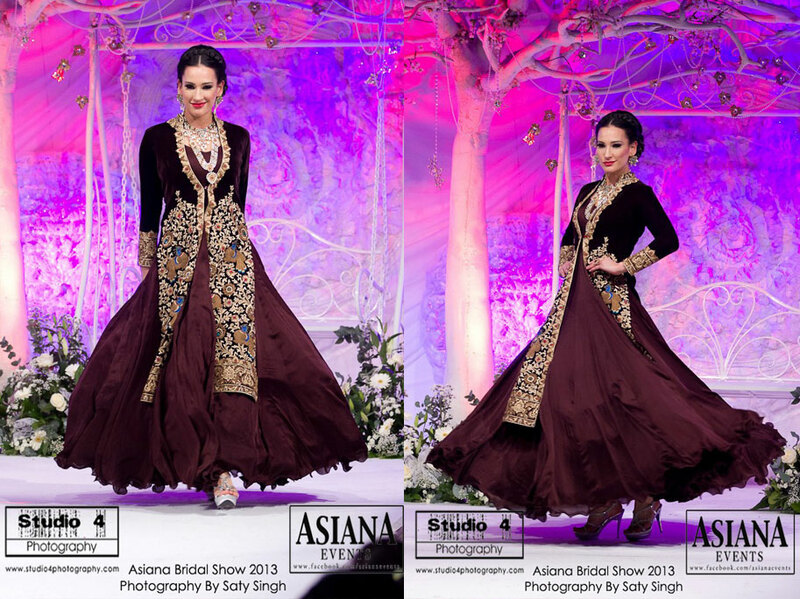 The model above wears the "Inadan" style set, here's a link to the matha patti which costs £380: Inadan Matha Patti. A lot of the pieces are available to buy online but others, such as the belt show with this outfit would need to be ordered in store. I really like the belt on this groom's look too, I think it really completes the outfit. 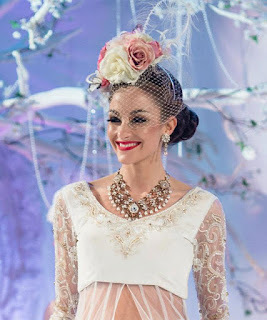 The female model above wears the "Sawana" set, as with most of Kyles pieces, there are various different options to go with each style, such as a choice of earrings, necklaces and other accessories. Here's a link to the necklace, which is one of Kyles' more expensive pieces coming in at £790 - Sawana Rani Haar. 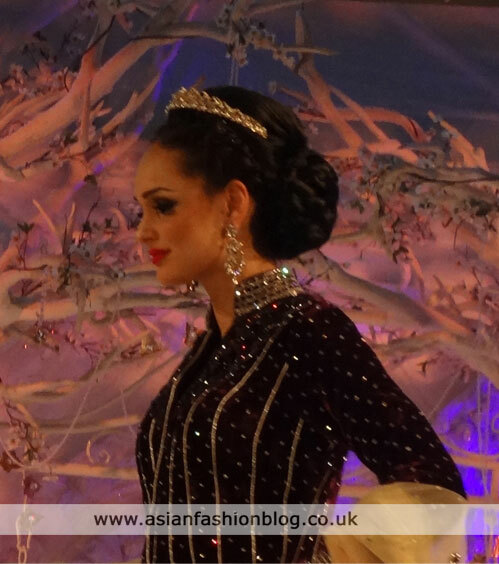 The finale piece wasn't even a piece of traditional jewellery - it was more like a full-on part of the dress design. I tweeted this model, Hammasa, to ask what her favourite outfit from the whole Asiana Show was, and she picked this Kyles look! @nazma_afb the Kyles dress haha cos it was easy to walk in! 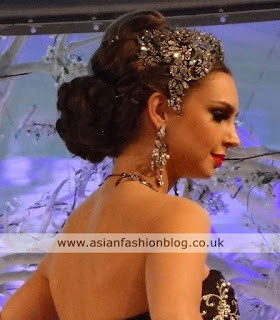 If you love these hair accessories as much as I do, check out my blog post on different ways to wear a matha patti. Photo credits go to Rafyl Photography and Studio 4 Photography.